Since the issue of the first plans by Jim Bede in the 1970 there were numerous modifications published, both by Bede and other designers and builders. The last column in the following table lists (some of) the builders who have adapted a specific modification. When you click on their names there is a good chance that there is a picture of their aircraft and the modification visible. Bede Corp's modifications I believe there are 76 modifications that were published by Bede. Some are considered 'mandatory' (although this does not have a legal background for an experimental plane). All builders should use them. Metal wings This is one a popular modification to the original composite wings. Bede's plans (later editions) include plans and instructions for metal wings (using 0.020 Al 2024-T3). You can buy metal ribs from Dream Aircraft and a full set for metal wings from TVAP (see supplier's page). 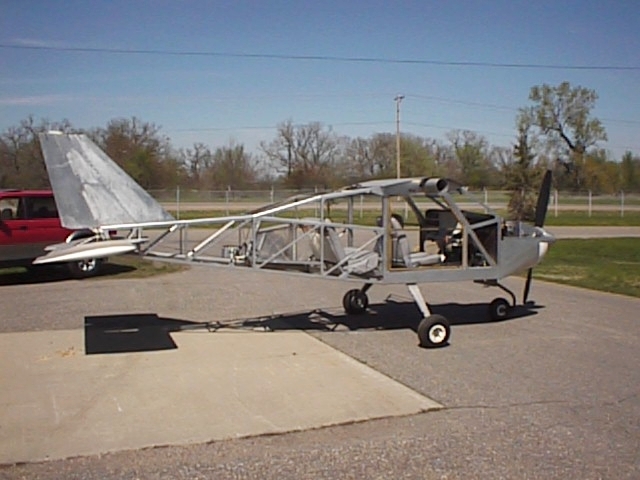 There are several plans for metal wings out there: Murphy, John Raffensparger, the ones from Dream Aircraft. Murphy does no longer sell them. John does. John Steere provided excellent building instructions with pictures, see John Steere's building instructions. Also see some notes from Bob White. Murphy's design: While they are no longer sold they are still used and described here. 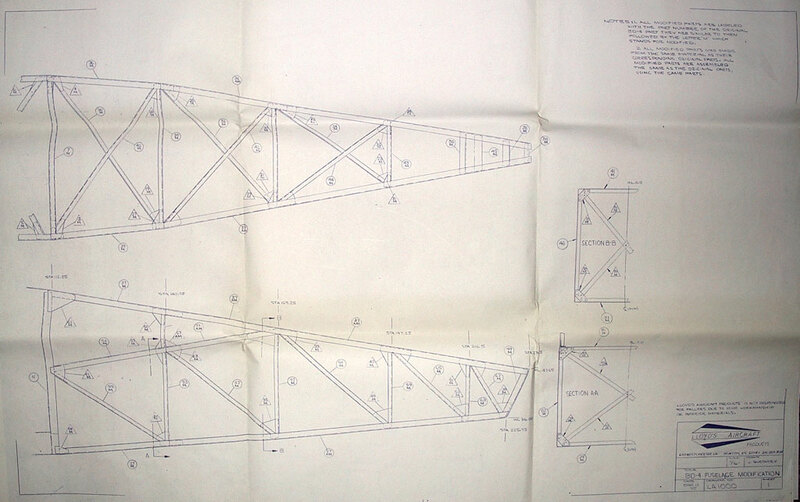 Val Bernhardt's homebuilt nose gear, described here. See also the nose gear page. Ron Vance, Mike Borgelt, see his description. The fuselage extension makes the fuselage longer. The motivation is either to balance a heavier engine with a longer lever of the tail or/and to increase the cabin space for the rear seats. With a 18" fuselage extension the BD-4 is a true 4 seater. 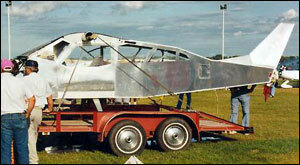 Ray Ward modified his fuselage to get the CG into it's limits again after hanging a heavier engine to the firewall. Notice: Ray Ward passed away in 2005 but his book and extension plans are still available. This picture shows John Thompson retrofitting his BD-4 with an fuselage extension. The extension is just aft of the rear door post. Click on the picture to see a full sized image. It is taken out of Hugo Schneider's newsletter from 1996. This is Mac Mcginnis' BD-4. Ray Ward and a number of others. 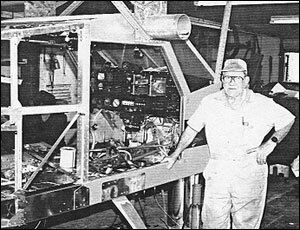 The pictures of Ray's BD-4 were taken before he incorporated the fuselage extension. Brekke's modification does not change the length of the fuselage but increases the headroom of the back seats. Please refer to the supplier page for contact. The picture shows a modified fuselage that obviously was made to give the back seat passengers more room. The editor does not know which plans this builder followed. Probably his own. Stronger and Heavier powerplant To balance a heavier power plant a common way to get the CG back into it's limits is to apply a fuselage extension, like the one suggested by Ray Ward. Ray Ward also wrote the book "Fun and Forced Landings with V/8 Power" in which he describes the modifications to build in a bigger and heavier power plant. Curved windshield Refer to the newsletters, also there is a good document with installation instructions and drawings by Mark Miller, it can be purchased by GeeBee Canopies in WA Steve Craigle, Steve Mahoney, John Steere, Deene Odgen, Craig Evans, Ron Vance and many others. [...] If I were doing this again, I'd leave out the .25 piece and remake P/N BS-4 so it goes to the fork on the cylinder (ala my sketch). Then just put the 2 BS-4(mod) parts back-to-back (remember to make a right and left hand version!) and rivet them together with 3 or 4 rivets and match them up to the pedal with the screws as shown on the plans. Leave out the lightening holes shown on BS-3. Also, if your pedal already has the original holes in it, make the short flanges on BS-4 about .125 longer than the originals to make up for the absence of BS-3. Different main gear John Raffensparger used Cessna main gears. Dream Aircraft sells improved main gears. See supplier's page. Longer and stronger center spar Dream Aircraft and TVAP sells them, Jim Bede's BedeCorp plans to start offer them in Q1/'04. They allow a higher gross weight for the extended wing span. Corrosion Protection Bede's book does not talk much about corrosion protection. However, corrosion can be serious issue and alodining and priming the fuselage structure is highly recommenced. Very important is also the corrosion protection of the wing spars. 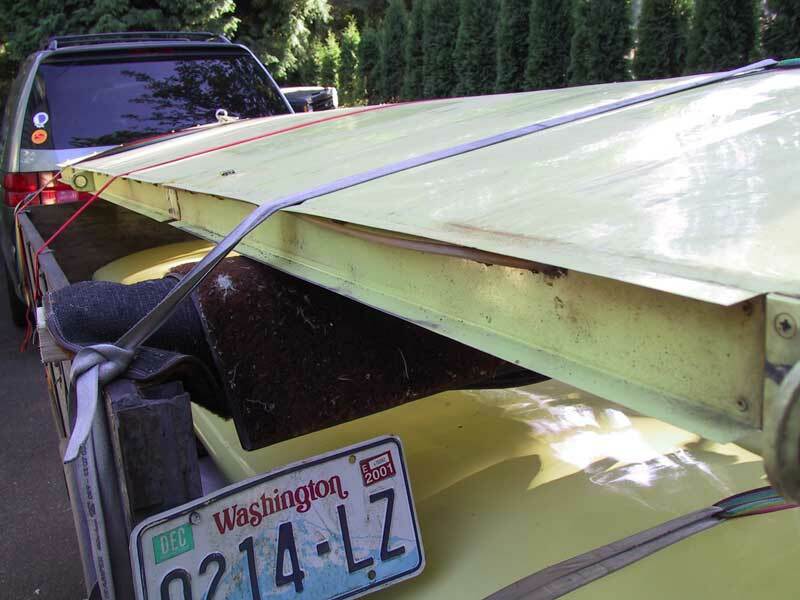 There were a number of badly corroded wing spars appearing in the past years. Especially the fuel cell area is prone to corrosion. Vortex Generators Both Richard and Steve had really good results reducing the stall speed with VGs. In Steve's case there wasn't even a slowing down in cruise.